Pumpkin pie is popular around this time of the year, with Halloween and Thanksgiving coming soon. Besides putting pumpkin in desserts, we also prepare it in a pot of soup when we want to eat something simple yet spicy to warm us up on a cool fall day. This quick and easy recipe uses fat-free and low-sodium ingredients, making it healthier for harvest-style meals. 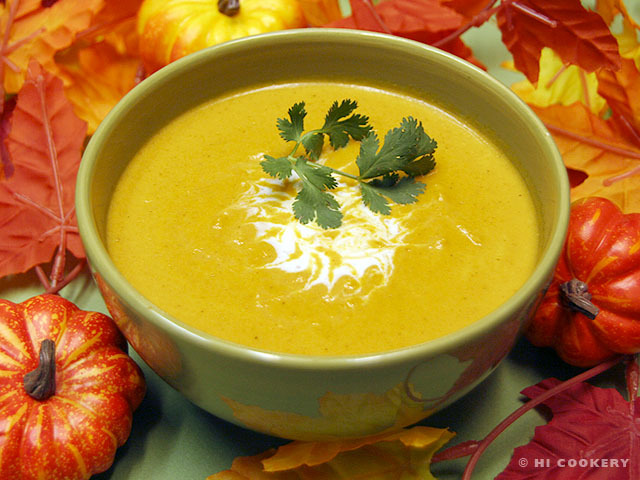 Savor a spiced pumpkin soup this season and on National Pumpkin Day. Chop the onions and mince the garlic cloves. Set aside. In a stock pot, heat the oil. 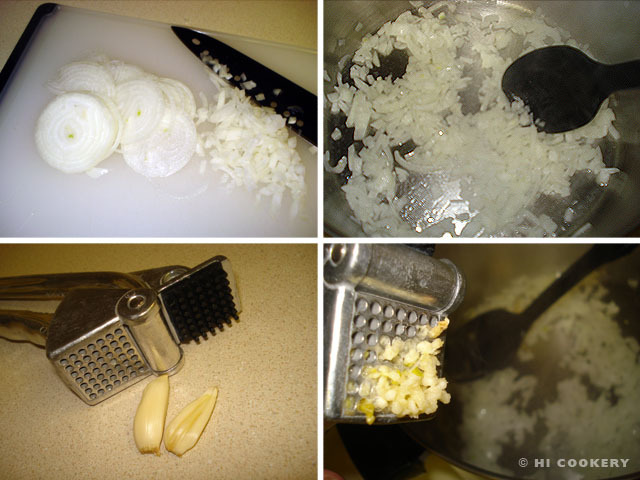 Saute the onion and garlic until the onions are soft. Stir in the curry powder, cumin and cardamom. Pour in the chicken broth. Add the pumpkin and mix well. Bring to a boil and stir. Reduce the heat to low and simmer for 15 minutes, stirring occasionally. 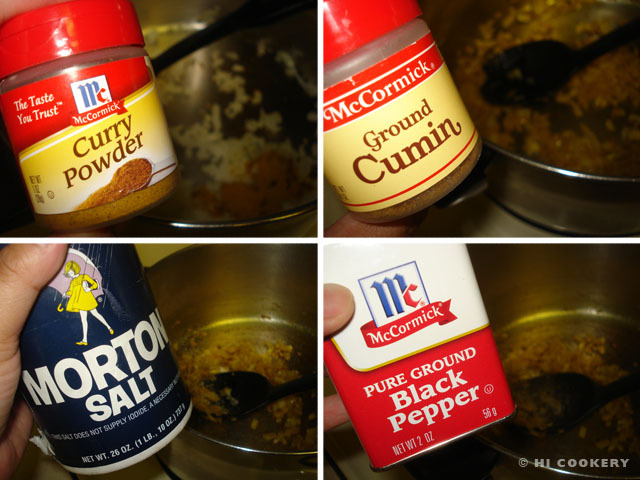 Mix in the evaporated milk and adjust the spices. 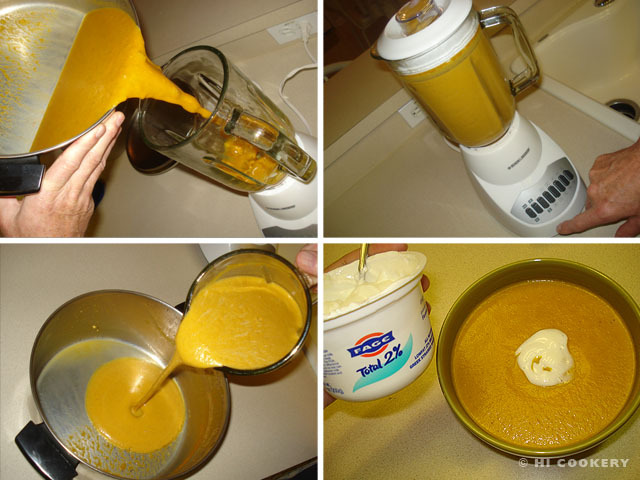 Transfer in batches to a blender. Puree then return to the pot to reheat. Ladle into soup bowls. Garnish with plain yogurt and cilantro or parsley leaves (optional). 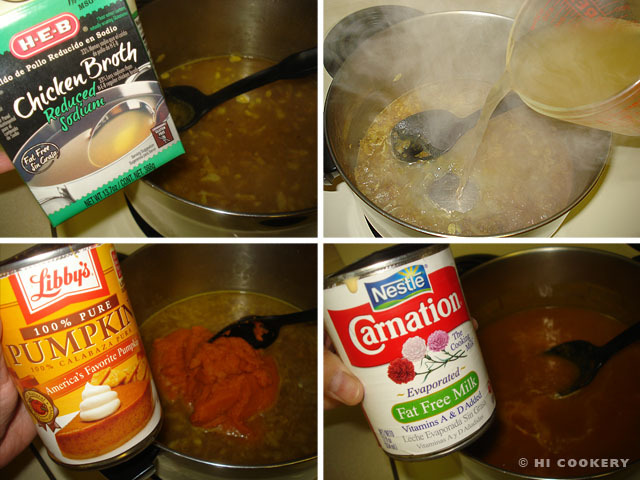 Search our blog for more soup recipes and posts containing pumpkin as an ingredient. Have you ever tried stuffed pumpkin? The presentation at table is geat when you slice and serve the wedges. No, we have not tried stuffed pumpkin but it sounds interesting. Do you have a recipe we could try? Sorry it has taken me so long to reply. I misplaced the recipe. ingredients 5-6 pound pumpkin, 2 tsp salt, 2 cloves of garlic minced, 1 onion chopped, 1 Lb ground beef or bulk sausage, 3 eggs, 2 tsp crushed dried sage, 1 1/2 tsp. thyme, 1/2 tsp black pepper 2 cups cooked rice or steamed oat groats, 2/3 cups of raisins, 1/2 cups pine nuts or slivered almonds. Preheat oven to 350 Cut top off pumpkin and clean. Prick inside and sprinkle with 1 tsp of salt. cook garlic and onion until translucent, add meat and cook until browned. Remove from heat, add remaining ingredients. Stuff pumpkin. Place in baking dish, add 1/2 inch of water and bake 1-1 1/2 hours. Cut into wedges and serve makes 8 servings. Really enjoy your site. I’m A Catholic of Welsh and Scottish descent. Bless you, Brad, for sharing this recipe. Sounds delicious. Definitely must try for the next pumpkin holiday! We hope to add more Welsh and Scottish recipes in the future, too. Thanks again!